disinfect wounds, cuts, bites, insect bites, etc. The ionic colloidal silver can be applied directly on cuts, scratches, open wounds, skin irritations of the whole body. It is very useful also for intimate hygiene, nasal washings through aerosol, and you can use it for regular mouth washes as well as daily hand disinfection. Use the pure product, with the count drops, without diluting it in water. Apply to the skin with a gentle massage in order to allow the silver to absorb well. 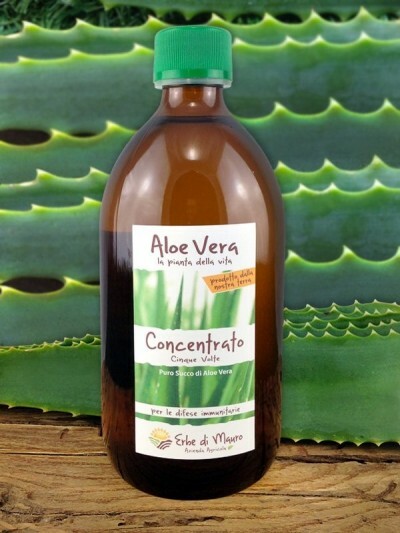 It can be used by combining it with our aloe creams and gel, etc., first apply the cream then the silver. External use: to disinfect injuries, alleviate inflammation, cuts, abrasions burns and sunburn. It is also very useful in case of mouth ulcers and herpes, and as a mouthwash to disinfect the oral cavity, both as prevention and as therapy against painful and bleeding gingivitis, tooth decay, plaque and periodontitis (pyorrhea). It can also be used in case of a clogged nose, or sinusitis, to make nasal flushes. Colloidal silver dissolves the phlegm, decongesting the airways and releasing the nose. In the case of otitis, silver colloidal drops can be used to reduce inflammation and counteract bacterial infection. For animals: colloidal silver is used in veterinary for both mammals, birds and reptiles, to treat all infections, acute or chronic. For plants: colloidal silver is effective on plants, indoor plants and garden flowers, but also in agriculture on fruit and ornamental plants, to kill the eggs of worms, caterpillars and insects and to combat fungal diseases that affect many plants. To disinfect water: in some type of sports or recreational facilities, colloidal silver has replaced chlorine, making it more effective to eliminate fungi and bacteria from pool water. The colloidal silver consists of nanoparticles of metallic silver, held in suspension in distilled water, obtained through a process of electrolysis, and with the use of deionized bi-distilled water. We talk about pure silver, precisely 99.9999%, with an effective protective action, especially at the level of the mucous membranes of the body, and also capable of quickly and easily enhancing the natural immune defenses. It is non-toxic for humans and also for animals and can be used by anyone, even small children and very old people. It appears as a liquid, an odorless and tasteless substance. It is useful for eliminating the bacterial load and for this reason it is considered as a natural antibiotic. It has exceptional disinfectant, antibacterial, antifungal and antiviral properties. Historically, even the ancient Romans and Greeks sensed the therapeutic properties of silver. For this reason, the most affluent classes preferred to use flatware and dishes made of this material so that the release of minimal silver particles would made the users less prone to diseases and to infections. At the end of the 1800s and in the early 1900s, colloidal silver was widely used as a disinfectant and antibacterial agent, anticipating the use of antibiotics. One of the most powerful natural antibiotics. As we said colloidal silver is totally harmless to humans. On the other hand, it is toxic for the primitive life forms such as pathogenic microorganisms, since they use different chemical processes for their metabolism. Biomedical research has shown that none of the (known) organisms that cause diseases can live more than a few minutes in the presence of a trace, even if minimal, of metallic silver. Colloidal silver is a natural antibiotic, effective against 650 bacteria, fungi and pathogenic viruses. The silver acts as a catalyst disabling a specific enzyme, the micro-organisms in this way suffocate, die and break up in a few minutes (on average in less than 10 minutes), and is then expelled from the body in a natural way. Keep away from sunlight and heat. Avoid contact with other metals and/or metal spoons. Avoid using if you are allergic to silver. Keep out of reach of children.